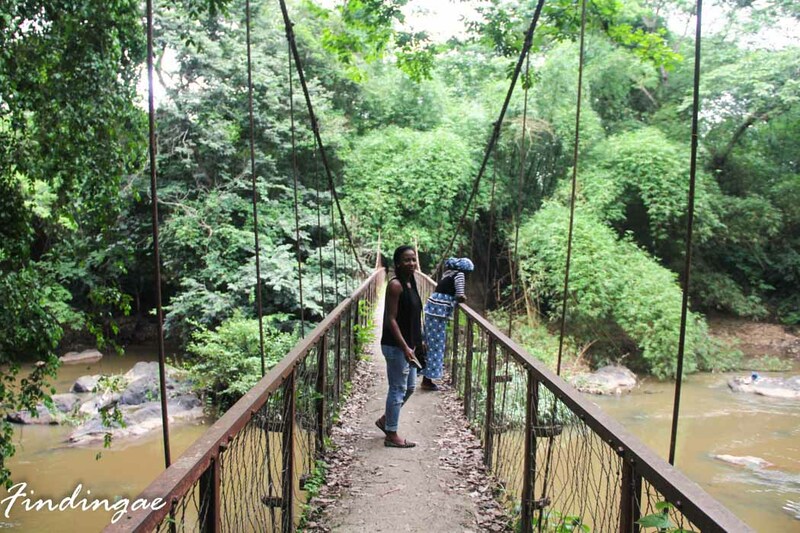 After the hike, we headed for Osun State. 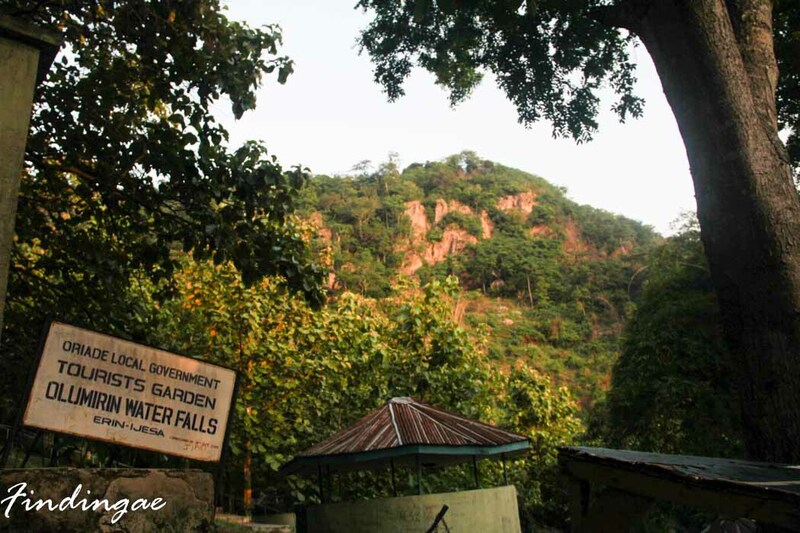 On getting to Osun state we decided to see the Erin Ijesha Waterfall despite the fact that it was almost dusk. One of the dangers of road trips is sometimes the inevitability of getting into an unfamiliar destination at nightfall. Erin Ijesha is off the highway between Ondo and Osun, hence it only made more sense to stop by instead of coming back the following morning from Oshogbo where we were to settle for the Night. 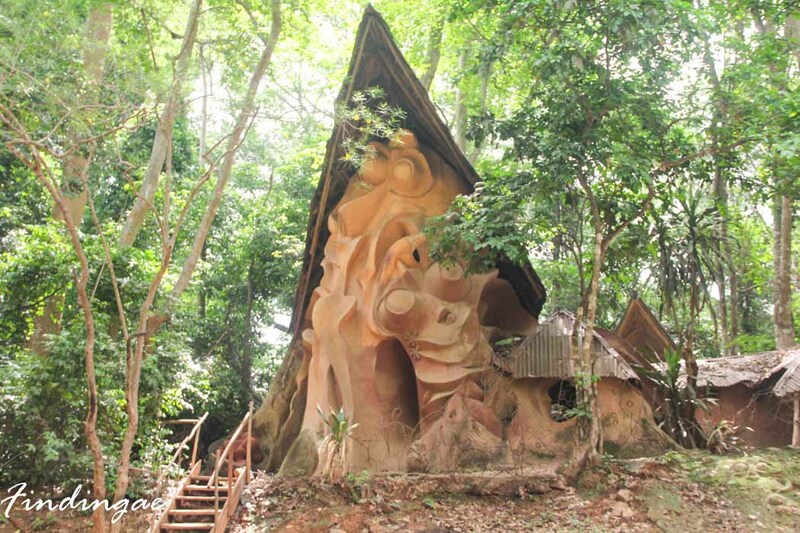 We got to the waterfall at about 6pm at which point the workers were already leaving for their respective houses. After a lot of persuasion and the right incentive 😉 The gates were opened, we got a tour guide and up we went. 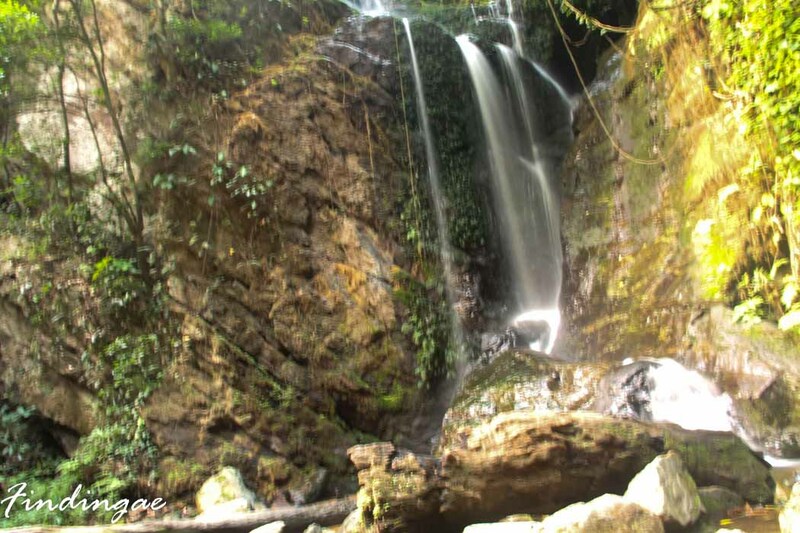 Olumirin falls as it is also called was quite a tough one. The waterfall hike was quite tasking considering the fact that we had our backpacks strapped on us and we had been up Idanre Hills that same day. I was nevertheless energetic as usual and up I went. However Wale who was on the trip with me was sweating profusely and trotting behind . Since it was late, we could only see 3 out of the 7 layers of the fall, however If and when the opportunity comes again, I would be going back for the entire hike. We literally hitch hiked to Osun State and at some point Wale was considering staying at a hotel around but I insisted we keep moving. We were assured by market women selling wares by the road side that we were going to get a bus. We got an old rickety one with foul smell emanating from passengers who had spent the better part of their day on the bus, majority of who were now cranky and annoyed that the driver was making stops to pick other passengers. We got to Oshogbo at the wee hour of the Night settled in. 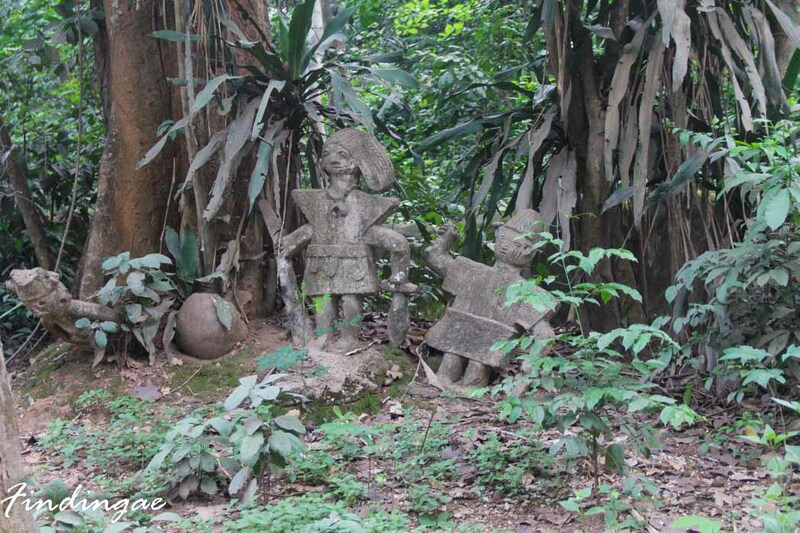 The Osun-Osogbo Grove is one of the few remaining sacred tropical high forest used for ritual and spiritual purposes in Nigeria. 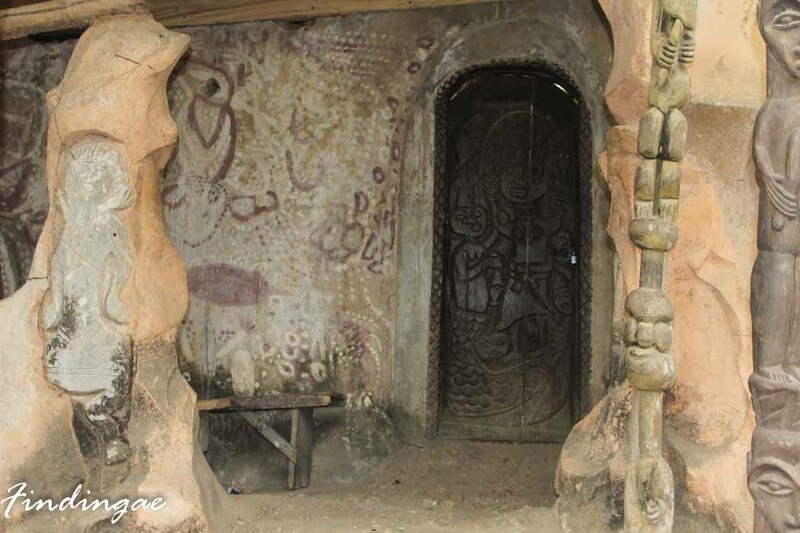 It is indigenous to the Yorubas and located on the outskirts of Osogbo in Osun State . 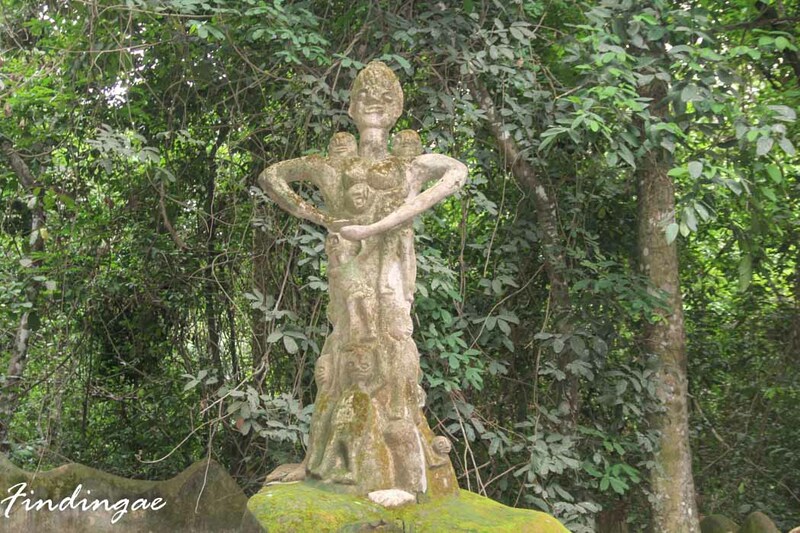 The heritage site would have been extinct just like the other sacred forests found close to every Yoruba settlement if not for the efforts of Susanne Wenger an Austrian expatriate who moved to Nigeria in the 1950s and who is depicted with her dog in front and other Yourba chiefs behind her below. 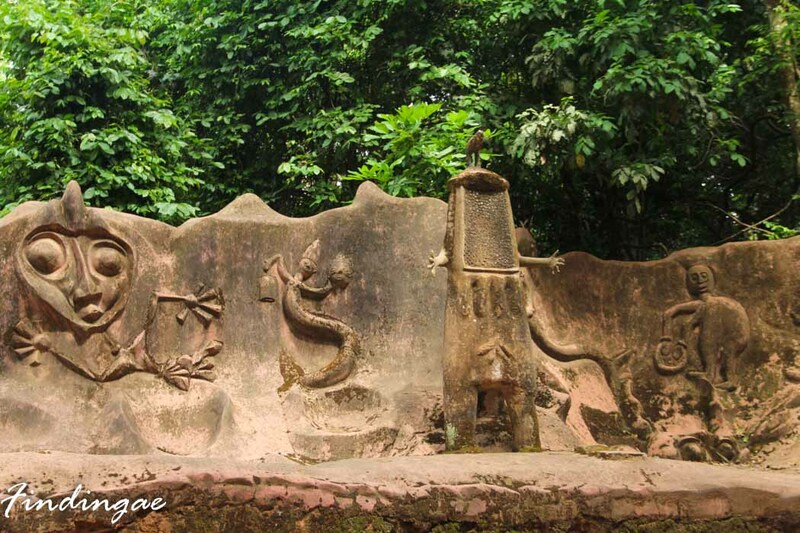 We saw statute of Osun the goddess of fertility who now dwells in the river underneath a frail bridge, Sango, the god of thunder and other Yoruba mythical gods. If you ask me I’d have thought the statute of Sango would have been more fierce looking with the ability to spit out fire just as the myth, but oh well! I guess this will do. Our experience at the groove wasn’t all really exciting as all the management cared about was money. As soon as they saw us with cameras they started dictating exorbitant amounts. We literally had to beg to get the price beat down as there were no fixed price in documented form. They basically wanted to exploit us particularly the woman tour guide who left us angrily at some point saying that she had given us our money’s worth. 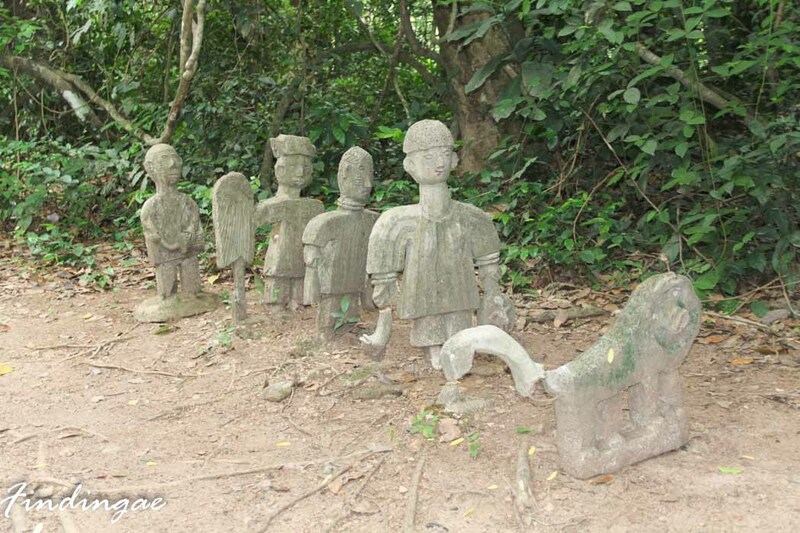 We looked around a bit after she left us but the place looked quite spooky as there were a lot of shrines and effigies so I did not delve further for fear of the unknown. 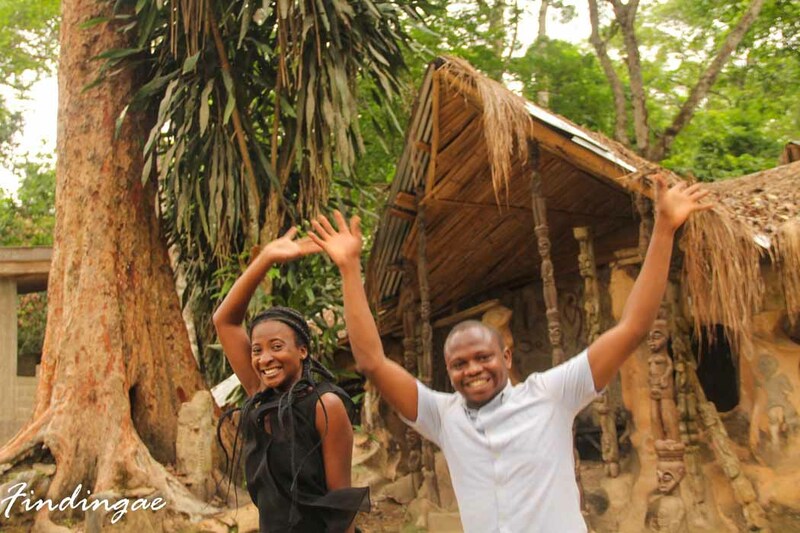 As there was no one in sight to take pictures of us, we set our camera on timer and took a couple.The groove however, remains a place of worship till date and its also the site of the popular Osun-Osogbo annual festival. 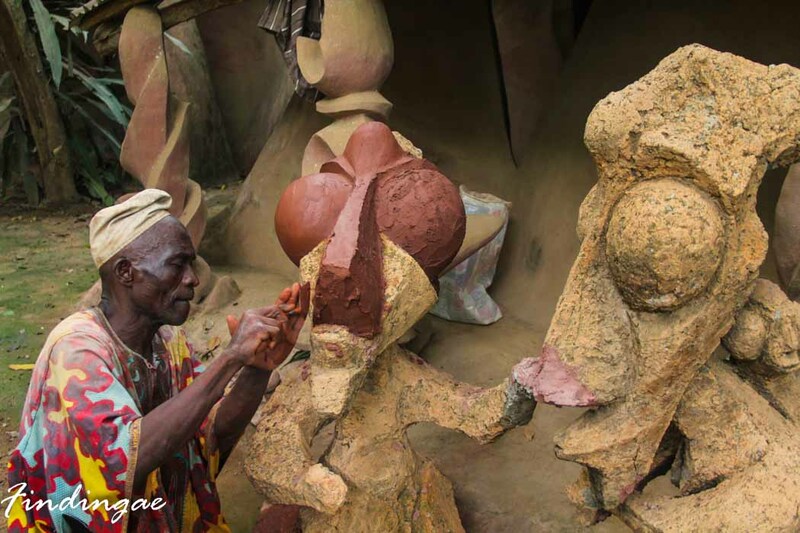 While leaving we saw this man doing some sculpting and I thought they were quite interesting pieces. 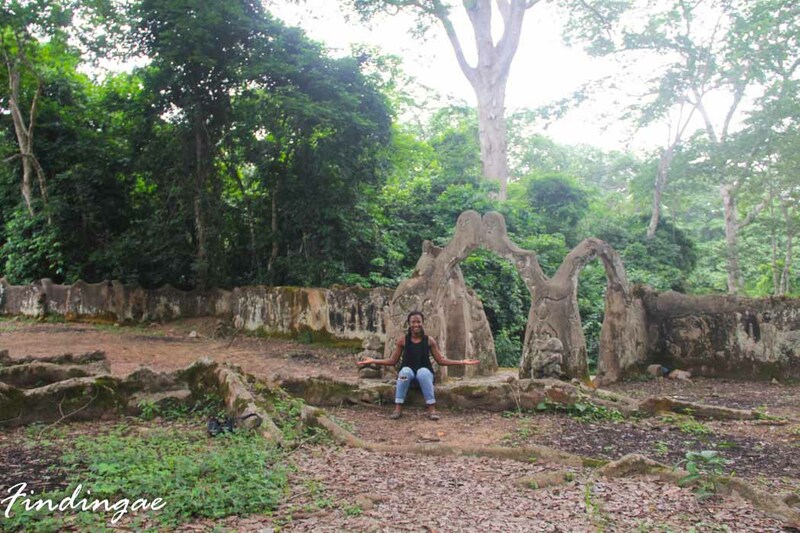 Our experience at Osun was not altogether pleasing, I wouldn’t say we met a lot of nice people, most people we met were unusually angry for reasons best known to them. However our hosts were a nice bunch. Shoutout to Sogo, Moshood and Tobi Kadiri for taking us in. 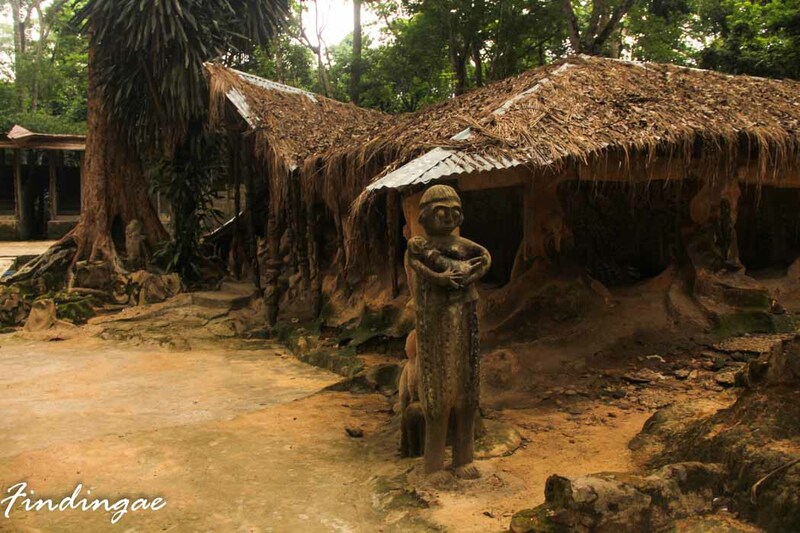 Are you from Osun State? 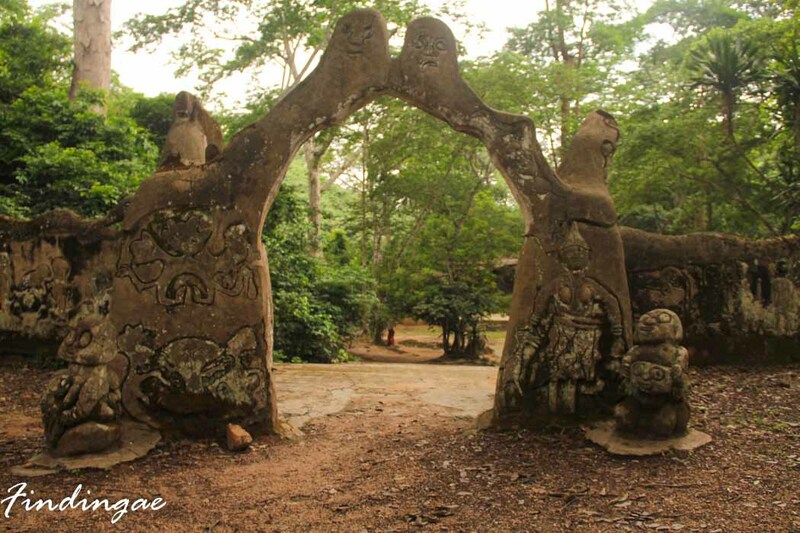 Have you been to Osun State? 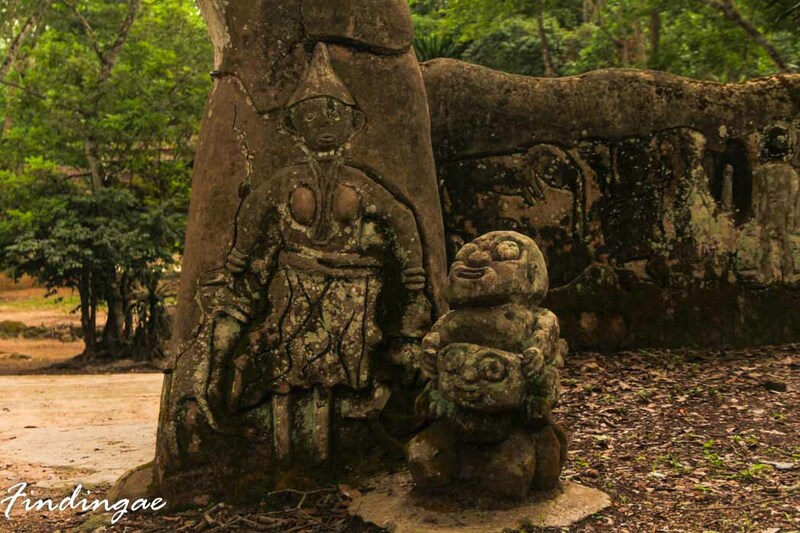 Have you had any experience with people from Osun State? Kindly Share!!! 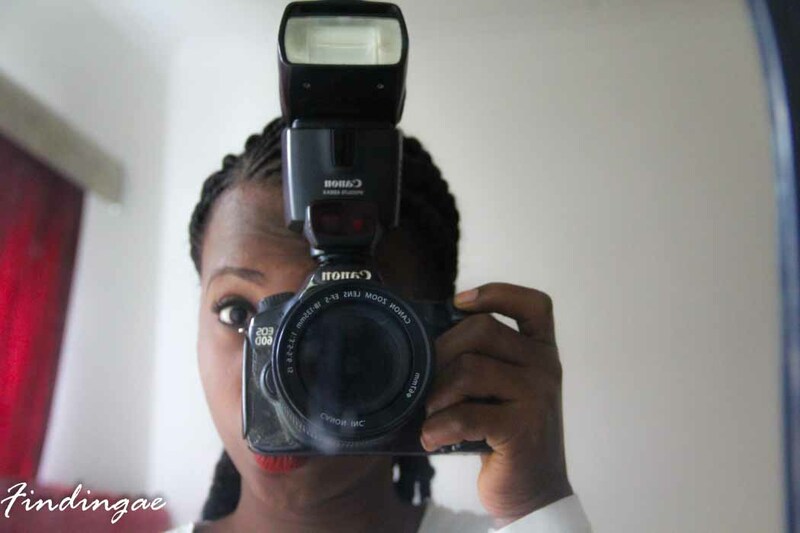 Kudos to you dear… I wish to see more of Africa through you. I know the economic situation of the state is not pleasant, maybe that is what is affecting the people and making them angry.